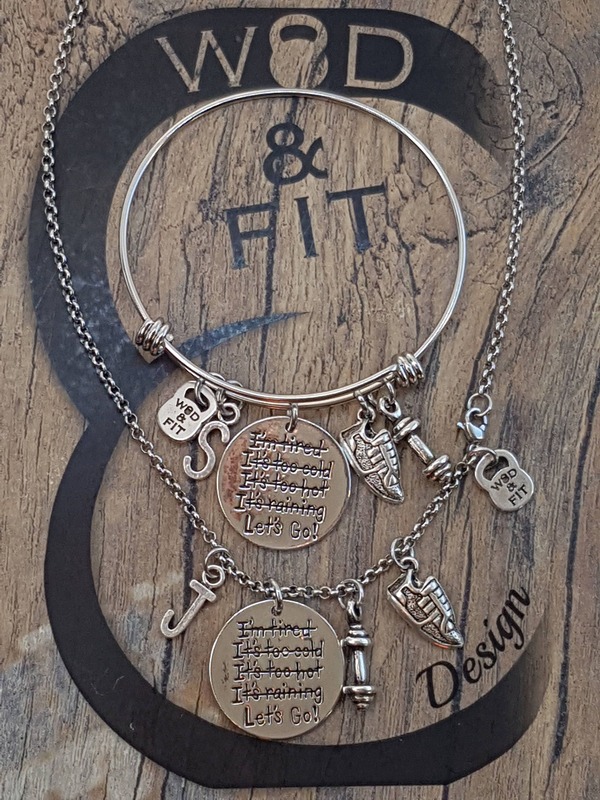 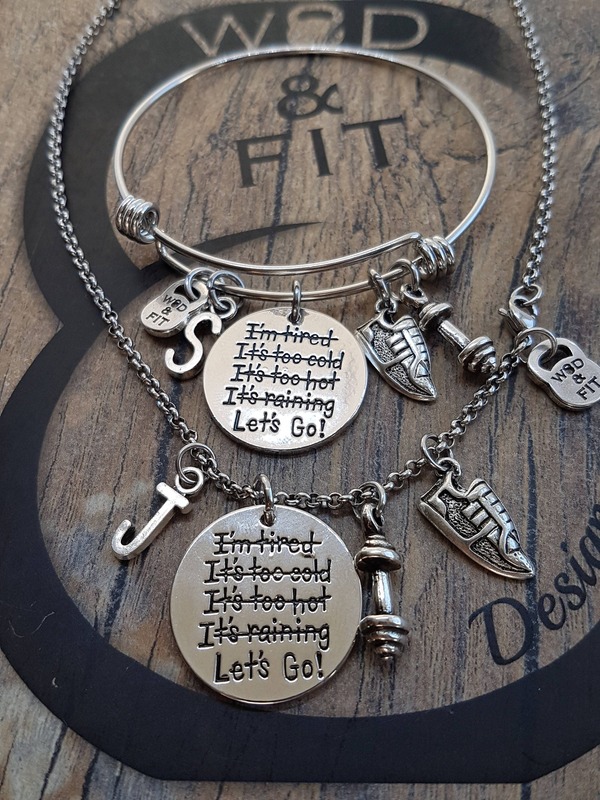 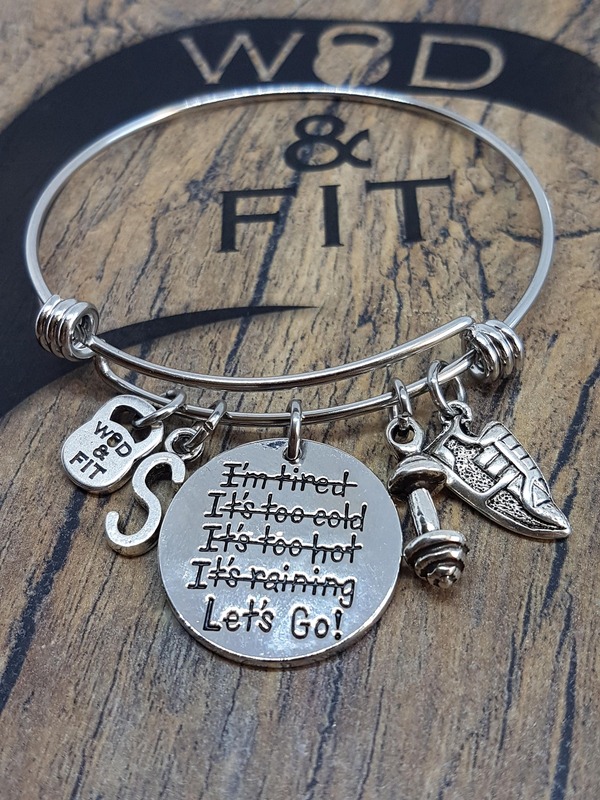 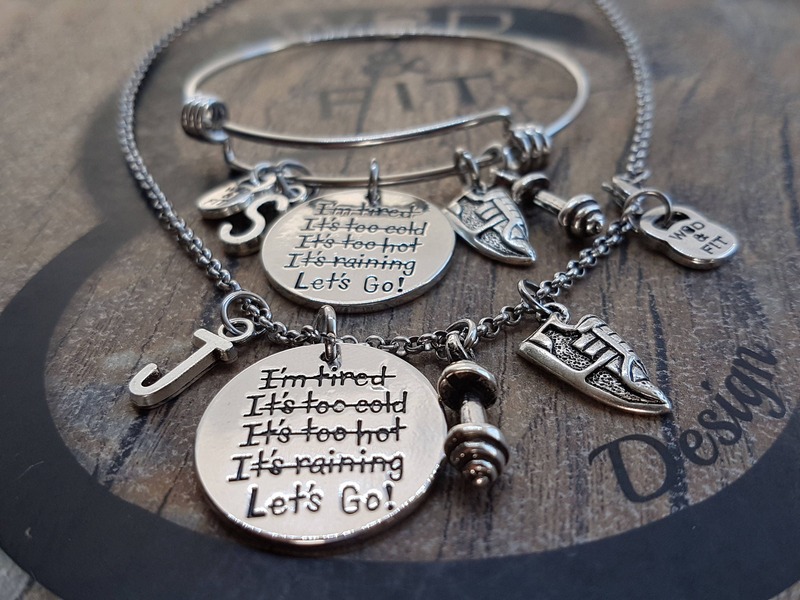 Fit Runner Bracelet or Necklace Lets Go! 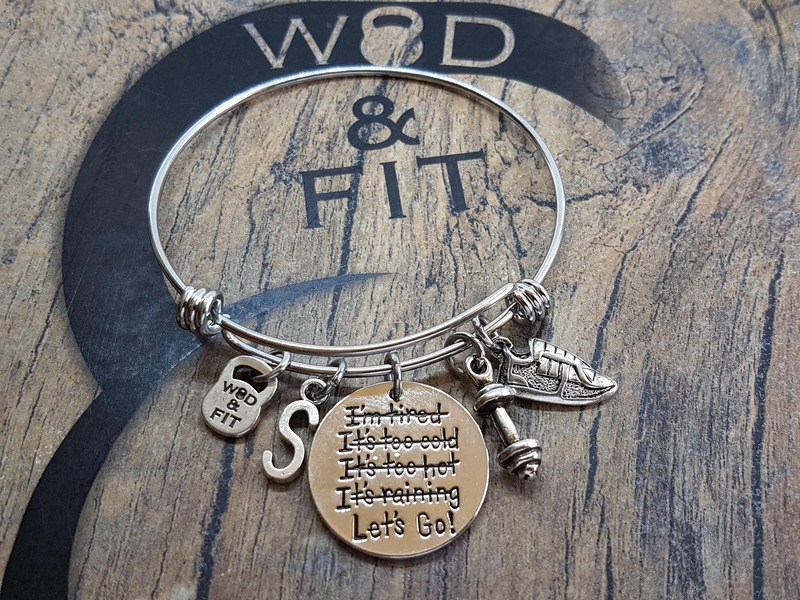 Running Shoe,Dumbbell & Initial Leter. 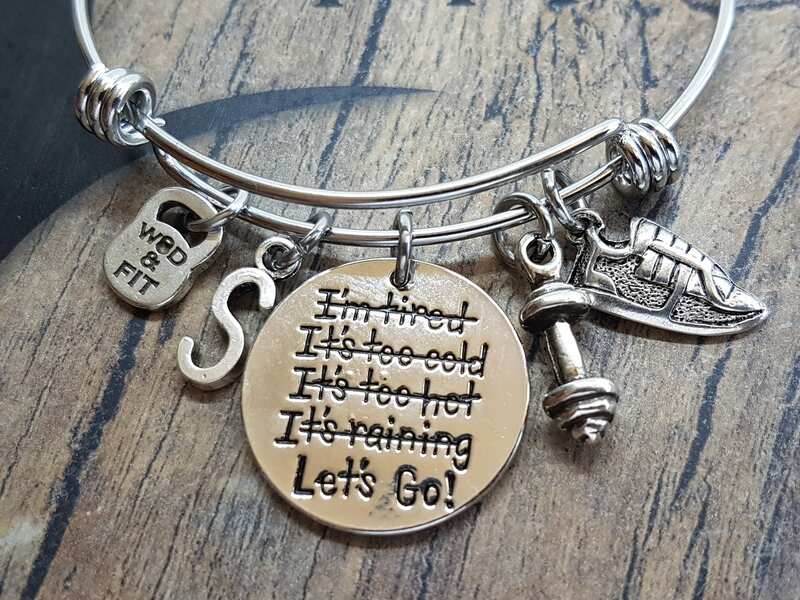 Bracelt stainless steel Adjustable (66mm) with the quote "Let's Go! 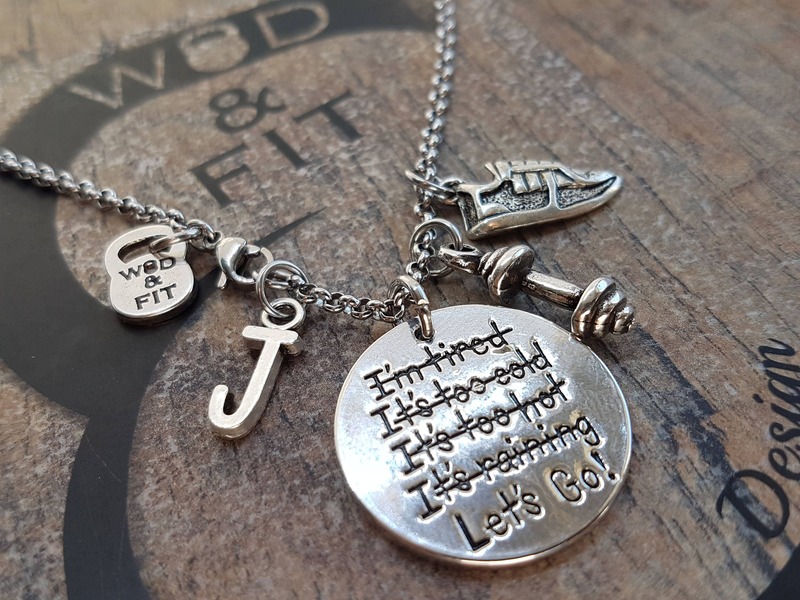 "(25mm) Running Shoe, Dumbbell and the your first letter. 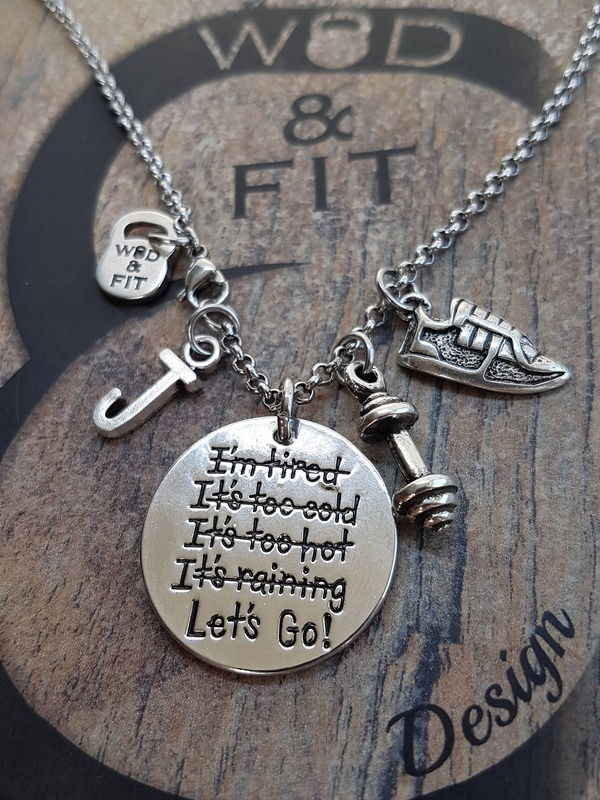 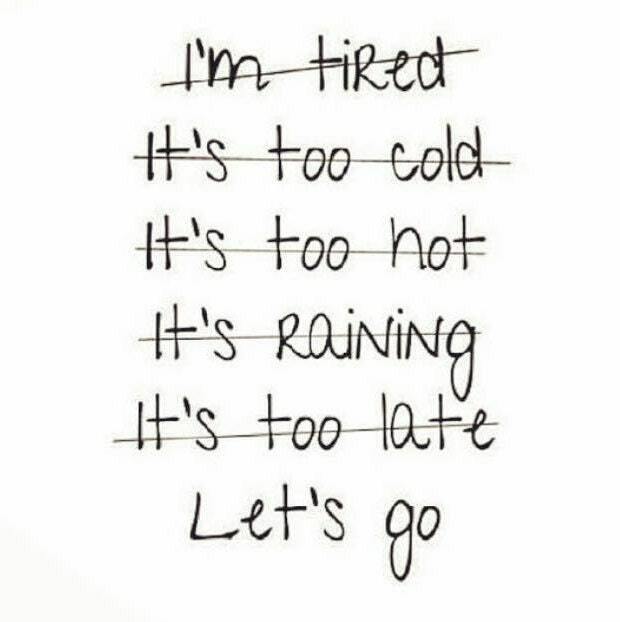 Necklace 61 cm (24 ") in stainless steel with the quote "Let's Go! 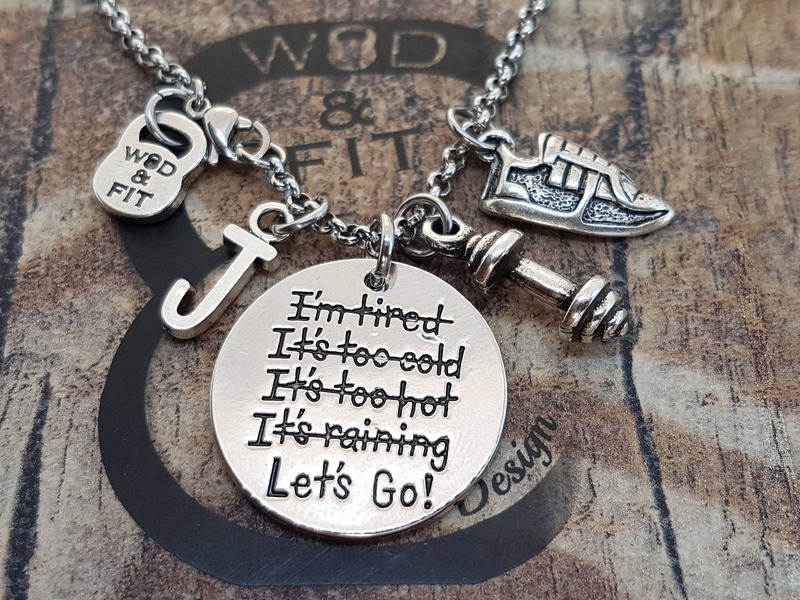 "(25mm) Running Shoe,Dumbbell and first letter.